Luxury Sailboats vs. Yachts: Which is Best for Your Excursion? So, you’re ready to set sail in Cabo — but what kind of boat do you choose? Here, we outline the differences in sailboats and yachts to help you decide. Your trip to Cabo is nearly all planned out. You booked your flight and found a nice hotel room. You have done your research on local restaurants and events. Now it is time for the best part: choosing your boat excursion. Suddenly, however, you find that the decision goes beyond just whale watching versus snorkeling. Now, you are finding you get to choose what kind of boat you want to book. Choosing between a sailboat and a yacht tour can be a tough call to make, especially when you do not have answers to all of your questions. What is the difference between these two boats? Is one better than the other? Which one will work best for me or my family? Luckily, we have the answers. Here is everything you need to know about luxury sailboats and yachts so you can pick the right tour for you. Before we get into the difference between the two boat cruises, it is important to know what is the same. No matter what kind of boat you choose to embark on your aquatic excursion on, keep in mind that the amenities and itinerary for cruise will be exactly the same — that is, until the last leg of your journey. The biggest difference between our luxury sailboats and our yachts can be summed up in one word: sails. Our sailboats are actually what are called sailing yachts, which means they have the ability to use actual sails to guide the boat through the sea instead of relying on a motor. Our luxury yachts, called sport cruiser yachts, do not have sails. Instead, they have power motors that help the boat cut through the ocean quickly. If you choose a sailboat cruise, the final leg of your journey will be spent actually sailing, while the motor yacht cruises will simply motor back to shore. The presence of sails is not the only difference between these two kinds of boats. Our sailboats, one of which offers a shared cruise option, can hold anywhere from eight to 15 people, depending on which boat you book. Meanwhile, our luxury yachts are a bit larger, with space for 18-20 people depending on the boat, making these tours a bit more expensive than the sailboat cruises. All of our boats are luxury yachts that offer the same amenities (food, drink, gear, towels, paddles and wetsuits when needed), but the style of the sailboats versus the motor yachts varies quite a bit. Our sailing yachts offer a classic sailboat feel while the sport cruisers can feel a bit more like a Hollywood movie with plush white seating inside and a sleek exterior. Because of the difference in size and style, the motor yacht cruises tend to be a bit more expensive than the sailing ones. In addition, the shared cruise, which offers a discounted price of $71 per adult, is only offered on a sailboat, not the sports cruisers. Neither the sailboats nor the yachts are better than one another. Instead, it all depends on your needs or desires. Are you interested in feeling what it is like to sail on the ocean, the wind blowing through your hair as the boat cuts quietly through the water? Or would you rather zip around while lounging on white seats and sip on a cold beer? Perhaps price is a factor you want to take into account. The choice is entirely up to you. On your cruise, once you finish up snorkeling or whale watching and eating lunch, it will be time to head back to the mainland. How you get there, however, will be determined by the kind of boat you are on. 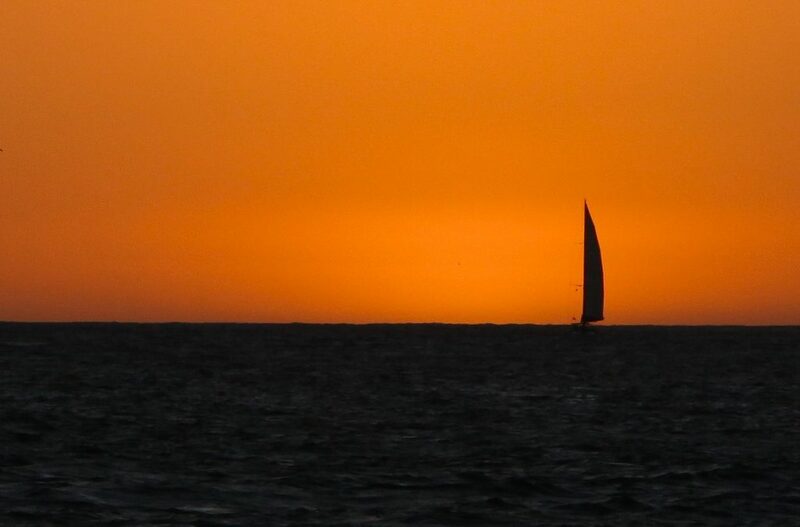 Sailing can be an absolutely lovely way to end an exciting but exhausting day of snorkeling. Without the sound of the motor to drown it out, you can listen to the sound of the water against the side of the boat as you sip a margarita, the wind blowing through your hair. However, sailing is not for everyone. Depending on the conditions of the winds that day, the course of your return to shore may be different than originally planned. If you prefer a more direct approach to your journey home, perhaps a sailboat is not for you. In addition, if you are looking for that more luxurious style, or perhaps have a group too large for the sailboats, a motor yacht will be the way to go. No matter which boat type you choose for your cruise, you can certainly count on an amazing day. 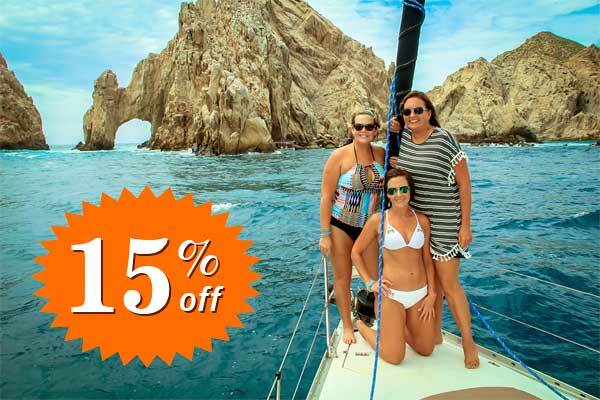 From Cabo San Lucas Marina to the famous arch to hanging out with the sea lions, there is no better way to experience the Sea of Cortez.